Today’s INktober is the 3rd in the Dungeon Tours theme. 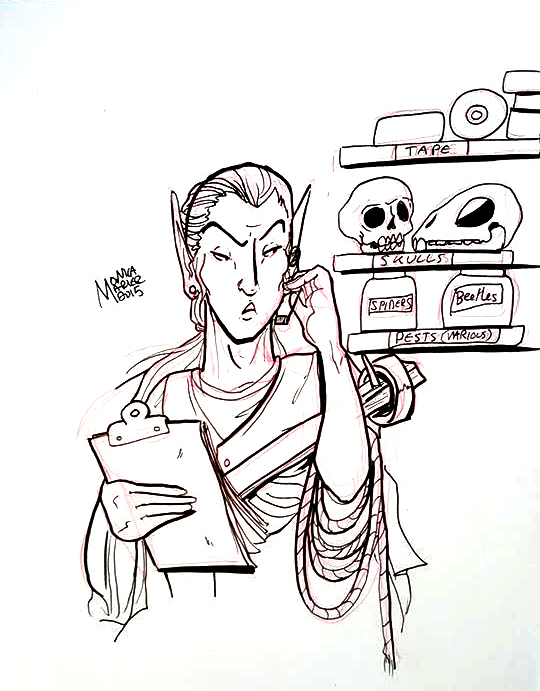 This is the elven tech-runner who’s resposible for greasing the wheels. He is the member who is never seen by outsiders; if you never see him, he’s done his job right. He has a rogue’s training and dresses in black. He’s silent, unflappable and has a never-ending supply of various tapes, for securing, fabricating, repairing, and helping actors hit their marks. I present: The Shadow.